Superdry men’s Technical pop zip hooded SD-Windcheater jacket. This jacket features a mesh lined hood and body, double layer collar and ribbed cuffs with thumbholes. The windcheater also features twin front pockets and an internal pocket for added practicality. 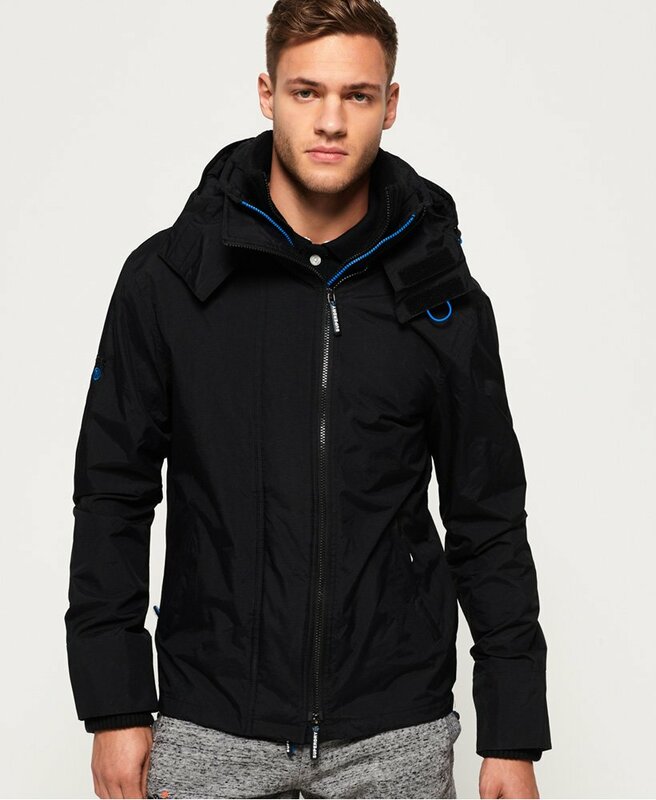 The jacket is finished with triple layer zip fastening and an embroidered Superdry logo on the chest, sleeve and back.